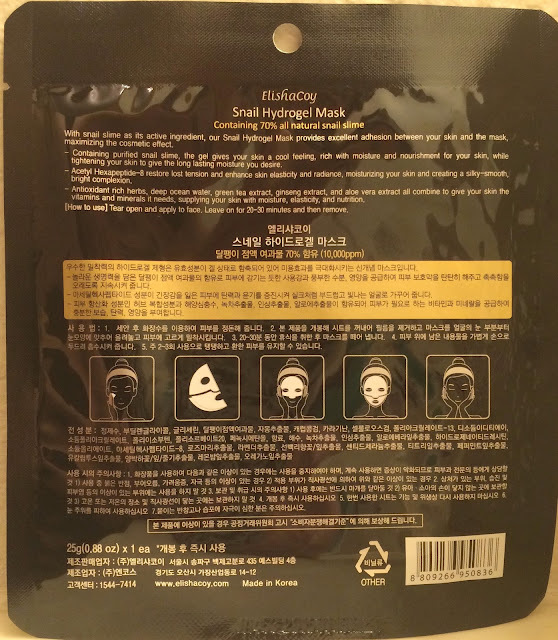 Directions: After cleansing, place the Snail Hydrogel Mask Sheet onto the face and leave it for 20 to 30 minutes until the essence is absorbed. Afterwards, remove the mask and use lightweight pressure to gently massage your face and allow full absorption to take place. 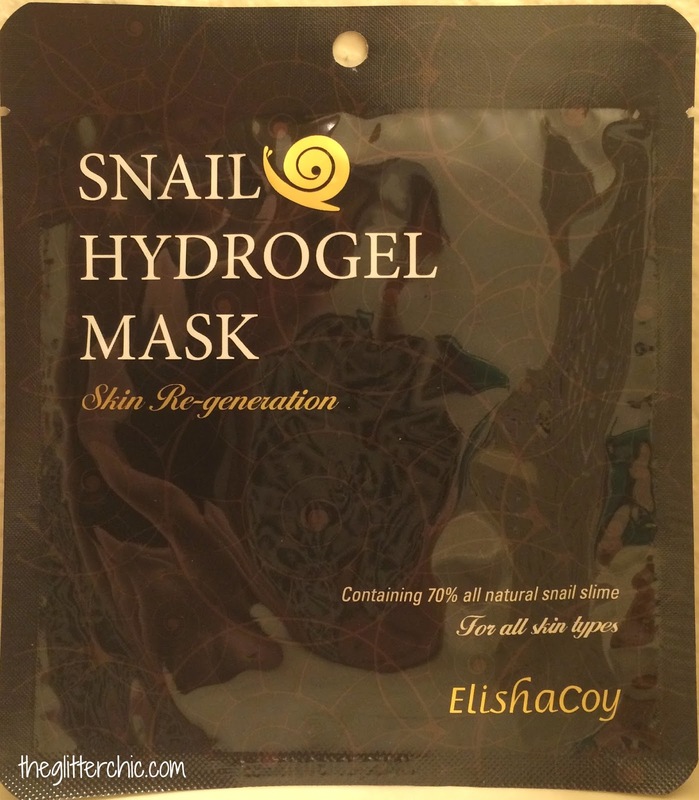 Performance: The Snail Hydrogel Mask from Elishacoy comes in a traditional foil packet. 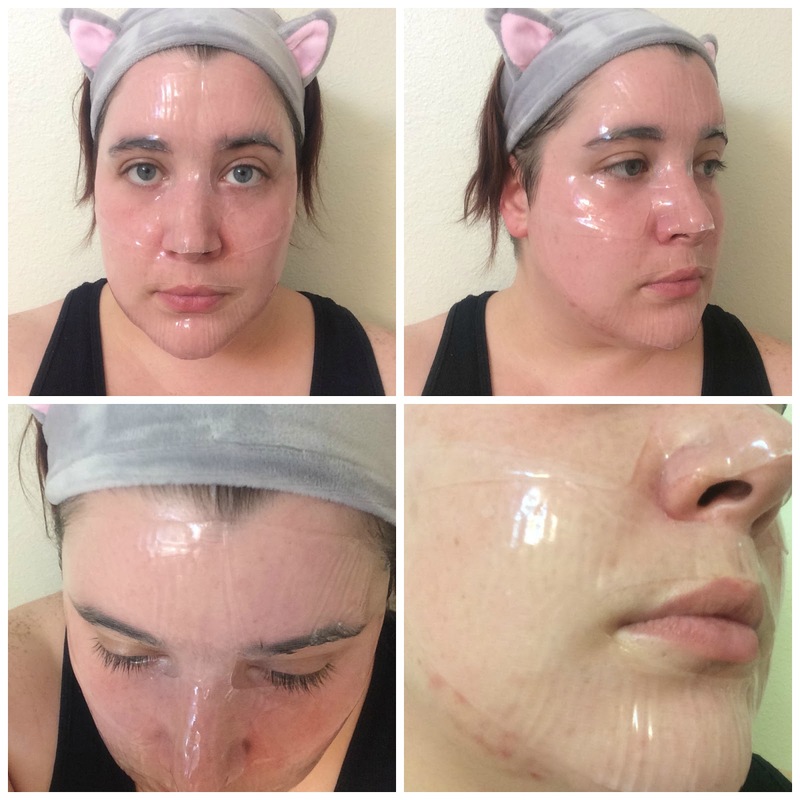 There are two pieces of gel (top and bottom of face) that are each sandwiched by two pearl-papers to prevent bunching in the package and for easier application. There isn't a real noticeable scent to this mask, but there is a slight freshness to it - very pleasing. 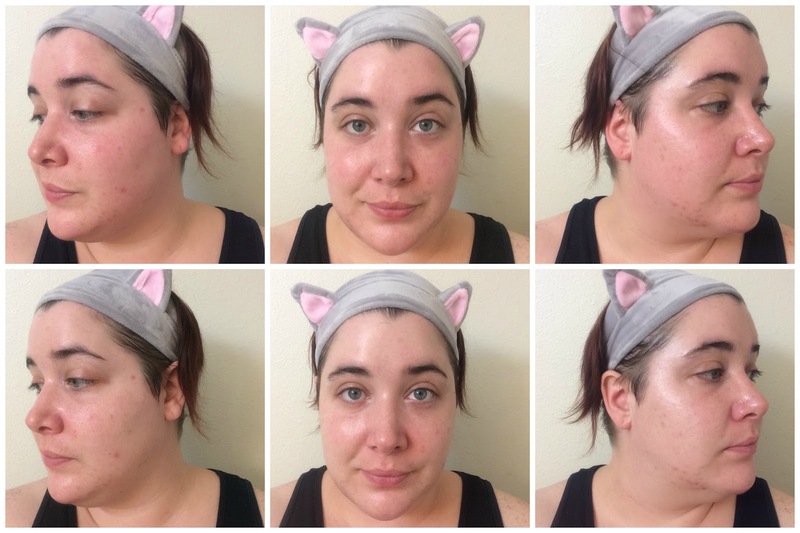 I removed the thicker of the two papers from the top mask first and applied it to my face, then removed the thinner paper from the outside. This made it very simple to apply and there wasn't any fussing with adjustment afterwards either. I then repeated this method with the bottom half of the mask. The gel felt very cooling on the skin, which is what I was hoping for on my irritated skin. There was a small amount of essence that dripped from the mask (which told me the gel was packed with moisture) but it did absorb quickly. I was able to wear this mask for about an hour before the edges and under my nose began to dry out too much for comfortable wear. Verdict: I found this mask to be very soothing and calming to my skin, and it also brightening my face - including redness and hyper-pigmentation. 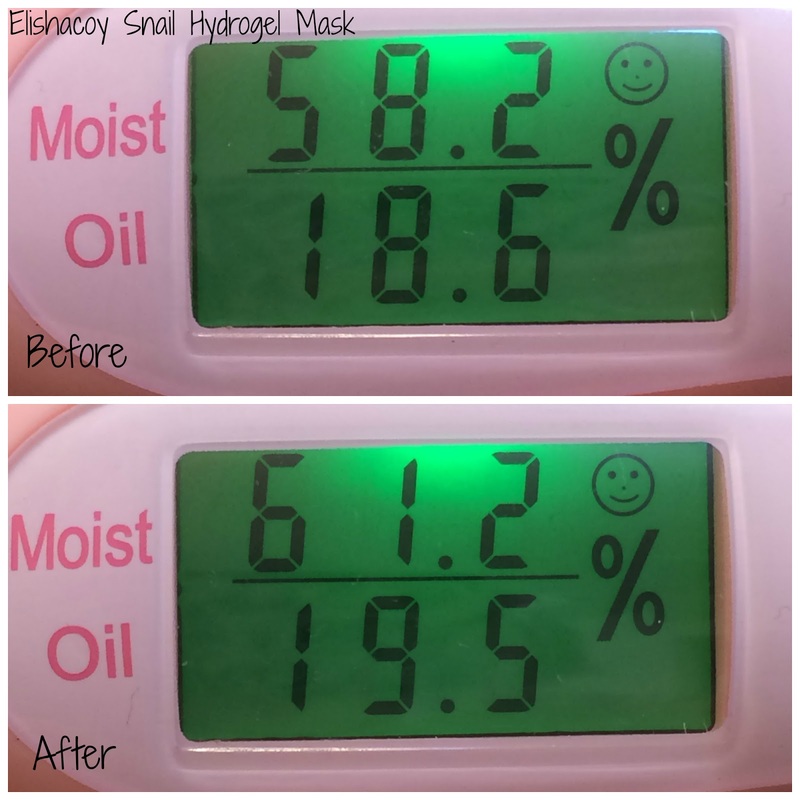 My face was very well hydrated (for me) when I applied this mask, so the very slight increase in moisture was not disappointing. I am glad to see that this mask was also hydrating, and held in the moisture I applied before it. This was a good mask, that delivered many great results. It's a bit expensive for regular use, but nice for an occasional treat. This is one of those masks that I always consider but never quite pull the trigger on in my cart. You're braver than I am! Glad you got good results...I'm going to take your word for it, hahaha.